I have therefore created a Notes database with only the session abstracts in place. You find the database here. Click on all images for a larger version! Below you will find wordles for each year from 2000 to 2014. Fun to see how company name changes, and how the focus slighty changes from year to year. 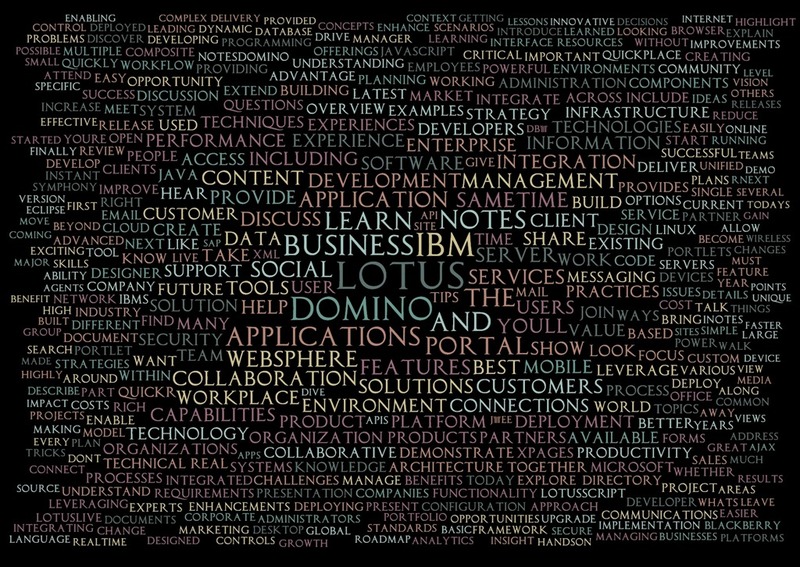 The wordles has been created by extracting the abstracts from all the session-databases I have archived, using the cool tool named Wordaizer. Before diving into the wordles themselves, I thank Ben Langhinrichs from Genii Software which assembled all the abstracts into an easy-to-use Notes database for over a decade! You might even get the old session databases from the links I provide at the end of the article. I also thank Mat Newman and more, which has taken over the last two years and created the session databases for 2013 and 2014. Why are the session databases important? I have allways liked the Notes-version much better – you know what you get when you have it in a Notes database!! Click Read more below to see the wordles year by year! Looking forward to LS12! Has anybody seen presentation downloads yet? Last year the official session schedule contained several presentations for download even before Lotusphere. This year I haven’t seen them yet. Thanks to Joe Litton, which pointed out that my Lotusscript agent code to import session pdf files, found in this blog-entry, you may have wondered about why it only imported one single session pdf. If was due to an Exit forall-statement in the Initialize function. The purpose of this code was of course to test the logic. Then I forgot to remove it before posting! Sorry! The Exit Forall is located just under Call ImportOrUpdateFile in case you don't want to download the code again. I have also updated the code to download. I have created an LotusScript agent which allows you to import all Lotusphere 2009 session PDF files into the Lotusphere 2009 Session database from Geniisoft. I have previously downloaded all pdf files into a single directory, If you haven't done this yourself, either access Lotusphere 2009 Online and do it manually from each session, or follow Karsten Lehmann's description. When all your session files are in one directory, you are ready to go! 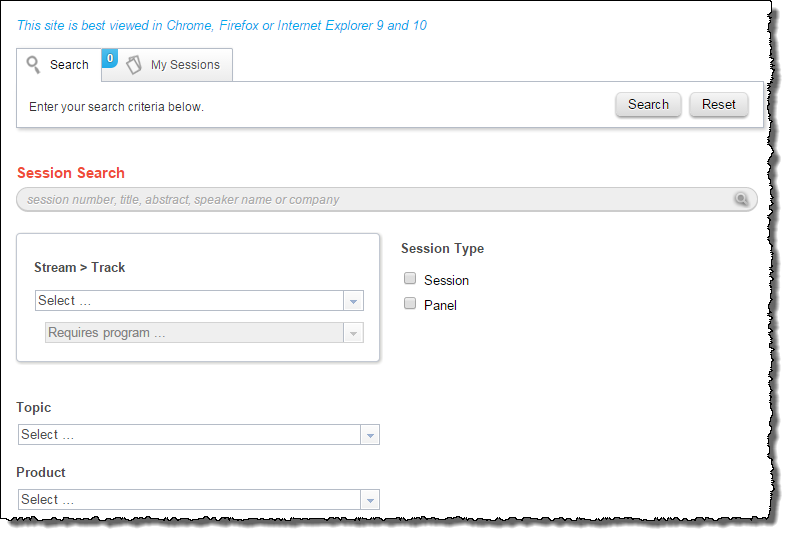 Create an agent in the session database and import the .lss file included in this download. It will ask you about the directory and then enumerate the files in the selected directory. For each file named according to the session id (such as AD101.pdf, BP203.pdf etc) it will look up the corresponding session document in the session database, and import the pdf file as an attachment. The agent also keeps track of imported files and their file timestamps, and can thus update the pdf file has a different timestamp. Nothing advanced here, just checking for different timestamps. If you want to be sure only newer files can be imported, you must code some LotusScript yourself. Finally, the agent uses some Win32 code to browse for directories. Cut this code if you are on Mac or Linux and just replace the import directory with a hardcoded string or similar. Ha, ha - Maybe I am too tall for KLM, perhaps *they* should have smaller stewardesses? My little advice to KLM is this; If you absolutely must fill the plane to the last drop and cram in those extra seat-rows, you must also employ smaller stewardesses, ha ha! The first Lotusphere-session selection done. Calendar looks familiar (again ...)! The calendar looks pretty clogged already. Some days will be harder, such as the interesting and valuable Jumpstarts on Sunday. But now I at least know what to choose from! Looking forward to see you all over there! 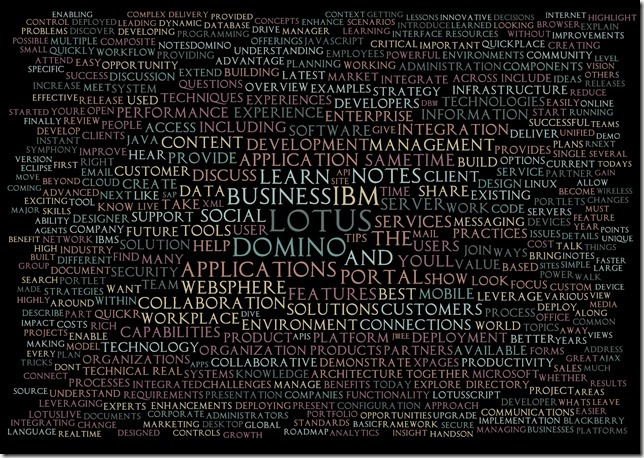 Read on to see what tool I used when I downloaded all 179 presentations from Lotusphere 2009 online.